February 2, 2019 By This post may contain affiliate links. 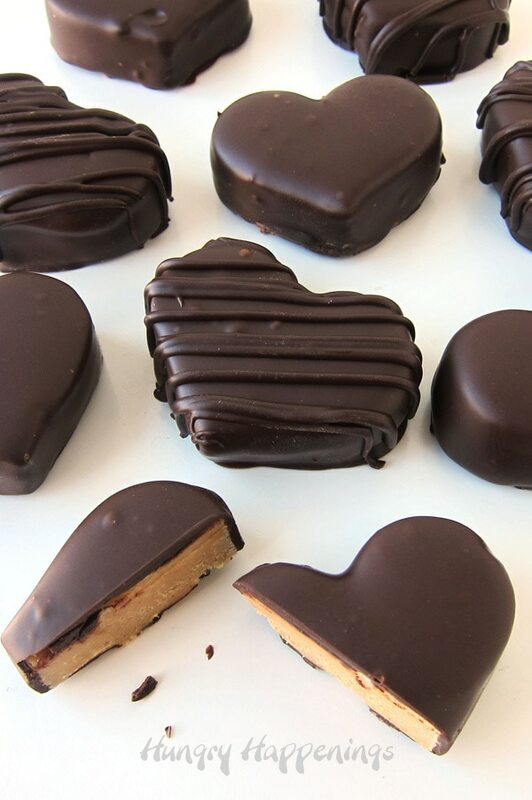 Treat your sweetheart to these decadent Peanut Butter Fudge Hearts Dipped in Chocolate for Valentine’s Day. Each creamy peanut butter fudge heart is coated in luxuriously creamy dark chocolate and is sure to make your loved one smile. Chocolate and peanut butter are one of my all time favorite flavor combinations. How about you? 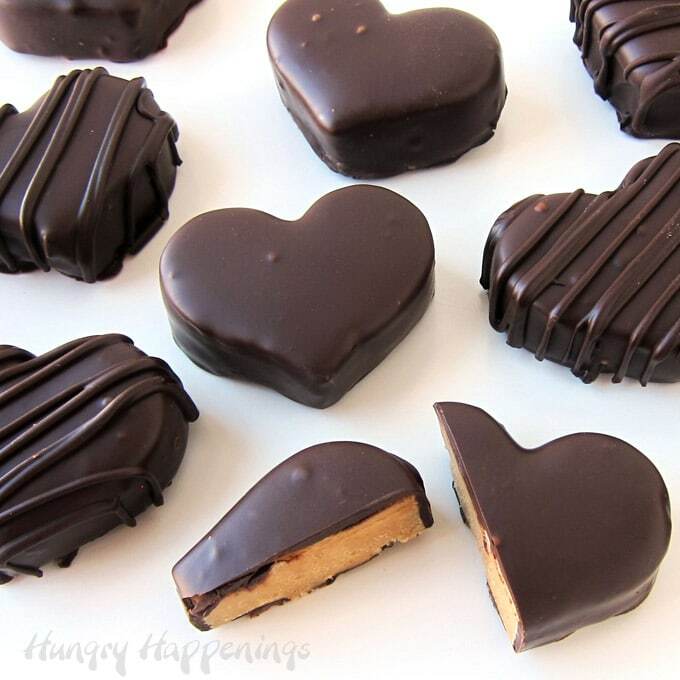 If you love creamy peanut butter fudge covered in rich dark chocolate you’ve got to try making some of these hearts. The filling is made from a simple 5-ingredient peanut butter fudge recipe. It’s smooth and creamy and peanut buttery. You make the fudge in a pan then cut it out using a heart cookie cutter. Then you dip the hearts in dark chocolate. It’s as easy as that and these taste so amazingly good. One batch will make more than enough heart candies to fill a box to give to your sweetheart or you can pack them up in smaller boxes to give to your kids. If you put one heart in a clear cellophane bag and tie a ribbon around it, you could set them at each place setting at a wedding or a bridal shower. To see the recipe, you need to head over to Dixie Crystals.